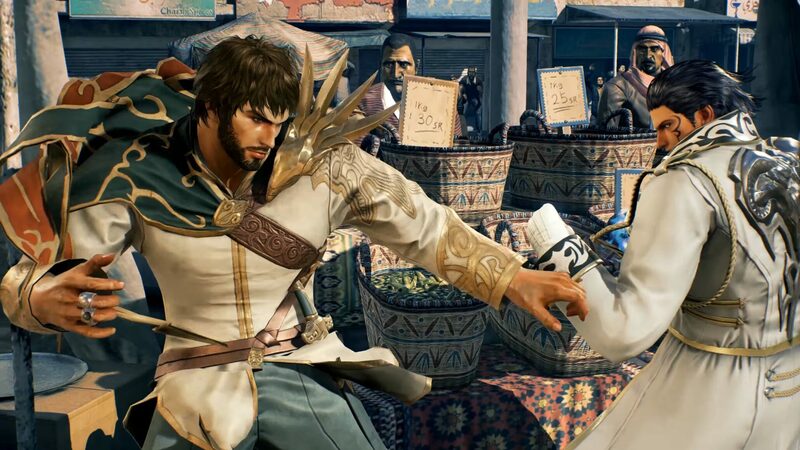 To say that Tekken 7 is eagerly anticipated is an understatement – the Tekken Tag Tournament series has been a good distraction, but die-hard Tekken fans have been clamoring for a true numbered successor to their favorite series for years. And now the wait is nearly over – Tekken 7 has been in Japanese arcades for months, was recently showcased at the world’s biggest fighting game tournament – EVO – and now we know most of the massive roster, have seen the incredible visuals produced by Unreal Engine 4 and we know it is coming very soon. So, what does the latest in one of the most legendary fighting games have to show us? To begin with, the incredible presentation. When seeing Tekken 7 at Gamescom this year, we were repeatedly told that the presentation was where the most obvious improvements were being made. This can be noticed in a trailer from earlier this year where Akuma shows down against Heihachi in a beautiful cinematic battle, before seamlessly panning the camera out and transitioning into gameplay. The graphics here look far better than anything Tekken has presented before, and nothing in the series has looked this good since the mind blowing 3D visuals of the original. That’s without mentioning the gorgeous stages themselves – from run-down dojos to incredible marble cathedrals where the light plays off of every surface, the Unreal Engine 4 is clearly being put to good use, despite the additional effort and difficulty that has been required with bringing to life these characters in the new game engine – by the developer’s own admission, it hasn’t been easy, but the results are clearly worthwhile. Of course, those looking for the best Tekken 7 graphics will have to pick up the PC version of the game, which is happening for the very first time in the franchise; you can take a look at the first 4K gameplay footage in our previous report. The inclusion of Street Fighter’s Akuma is a strange one that would make you think that perhaps he is a leftover of Tekken X Street Fighter, the repeatedly delayed though still in-the-pipeline counterpart to Street Fighter X Tekken. But instead, Akuma feels like he belongs in the world, his battle with Heihachi feels grounded and genuine, when it could’ve easily devolved into nonsense fan service. And on top of that, Akuma plays just like one might expect a Street Fighter character to, with the familiar quarter circle and dragon punch motions included for authenticity – he even has an EX and Super gauge. New mechanics are of course also included, such as Power Crushes and similar Supers, allowing you to move against your opponent in new ways. If you’re dealing with an overly aggressive player, Power Crushes will allow you to absorb a hit before countering and starting a combo of your own – Supers working similarly, with an absorbed hit before executing massive damage. Both of these mechanics only come into play when the players’ health is low, ensuring that anyone with the upper hand won’t be given an unfair advantage. Tekken 7 was Wccftech’s best fighting game at Gamescom 2016, and it was well deserved. With the new characters, mechanics and beautiful visuals, Tekken 7 is set to be the best fighter of next year by a wide margin. The game is scheduled to be available on PC/PlayStation 4/Xbox One in early 2017, with rumors hinting at a release date some time in February.